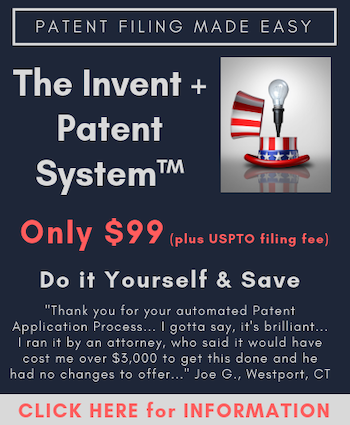 For many years now, the majority of the popular press has spun a tale of how patents hinder innovation, and that organizations or individuals who lawfully assert the rights associated with them are unreasonable to ask for compensation for this inventive output. The narrative has been fed to the media by companies and individuals who would prefer to use technologies without compensation for the people who invested in its creation. The Center for IP Understanding (CIPU) was created to counter that message and share with the public how IP rights create opportunity, and how critical a strong US patent system is to ensure our country remains the innovation center of the world. On May 8th the CIPU, in conjunction with the Global Innovation Policy Center (GIPC), held the Innovation Policy and Intellectual Property event at the US Chamber of Commerce. To date, the CIPU has held two forums where leaders in the patent community could come together, discuss the issues at hand, and strategize on how we might turn the recent tide of adverse legislation and court cases to support the reestablishment of a strong US patent system. The event was the first Washington gathering in recent history to re-introduce the idea of what innovation policy is, and how it impacts intellectual property (IP) rights. A group of almost 100 key innovation and IP influencers from government, business, and academia met to strategize on reversing the decline in innovative output that has recently seen the US drop to 12th place in patent rankings from the sixth edition of the International IP Index published by the Global Innovation Policy Center (GIPC) at the U.S. Chamber of Commerce. While the goal of developing a US innovation policy bolstered by strong IP protections was the focus of the event it was clear that competition with China, who clearly has set their own innovation agenda on a country-wide level, created a clear sense of urgency in the discussions. Developing an innovation policy for the United States is important, in and of itself, but in an age where China and other countries are establishing well-funded initiatives directing academic, government and corporate groups to work together on large, next-generation technology projects many wonder how the US will be able to compete if we don’t do get better organized. There are additional concerns that with the current diminishment of patent rights in the US this competition will favor these organized countries even more. This is not the first time that the US has faced competition from the Far East and Marshal Phelps, Board Member of CIPU, and Ex-VP of IP Strategy & Business for IBM and Microsoft led off the meeting with recollections on how similar the current situation is to the environment surrounding RCA and Xerox in the 1970’s. Mr. Phelps shared with the audience how the US government essentially mandated compulsory licensing with these company’s competitors leading to the diminishment of the high-tech photocopying and television industries in the United States, and the subsequent dominance in these areas by Japan. Following Mr. Phelps, Congressman Doug Collins (R-GA) the representative from Georgia who Chairs the House Judiciary Committee’s Sub-Committee on the Courts, Intellectual Property and the Internet spoke about the importance of communication in creating an environment where innovation can thrive, as well as in developing legislation that supports economic growth and technological progress in the US. The Defend Trade Secrets Act has been an overwhelming success and has provided much-needed protections for an intellectual property right that has been neglected in this country previously. Congressman Collins also talked about the success that the Music Modernization Act has had receiving unanimous support coming out of the House Judiciary Committee and at the House of Representatives. The Act has also been enthusiastically received in the Senate and looks like a sure thing to be sent to the President’s desk for signature. He concluded his remarks by sharing a story about how important innovation is to growing American industries and how passing laws such as the Defend Trade Secrets Act and Music Modernization Act have created important protections for those innovations and security for the people who created them. The panelists discussed the recent Oil States, and SAS Supreme Court decisions, the America Invents Act and the creation of the Patent Trials and Appeals Board (PTAB), the recent increase in Trademark filings in the US by Chinese citizens, the damage that the patent troll narrative has done in weakening patent rights in the US, whether the recent legislation, and court rulings have had an impact on patent valuations in this country, and how to compete with what looks to be an onslaught in the pursuit of patent rights by China not only in their own country, but increasingly internationally as well. Generally speaking, the panelists felt that the actions of the last few years had inflicted serious damage on the reliability of patent rights in the US and created substantial doubt about what those rights were worth economically with the changes. The panel was overwhelmingly in favor of making significant changes to the current environment especially with regard to the proceeding at the PTAB. Professor Marco was the sole dissenting voice on this topic in as much as he suggested caution in making changes without studying the likely impact of further changes. He advocated a thorough analysis of all of the possible outcomes before making any decisions. When the discussion was opened up to the audience a lively dialog developed which included suggestions to reverse eBay and bring back injunctive relieve to the US, and questions about what can be done to undo the suggestion in the Oil States case that patents are government franchises and no longer property rights. Professor Mossoff responded to these considerations by suggesting that it was likely too late to expect the Supreme Court to have a change of heart on patents and the answer instead was to encourage the legislature to create laws that strengthen patent rights in the United States. Support for the STRONGER Patents Act was suggested as a start in moving the needle back towards a system where patent owners can better protect themselves from infringement, and receive reasonable assurances of presumed validity of their patents. Overall, the assembled patent experts recognized that steps need to be taken to create more reliable patent rights in the US and that strengthening patents will be one of the key factors in helping the US maintain an innovation edge, and to better compete with China as it continues to accelerate its innovative efforts and seeks protection for their investment globally. Anthony Trippe is Managing Director of Patinformatics, LLC. Patinformatics is an advisory firm specializing in patent analytics and landscaping to support decision making for technology-based businesses. In addition to operating Patinformatics, Mr. Trippe is also an Adjunct Professor of IP Management and Markets at Illinois Institute of Technology teaching a course on patent analysis, and landscapes for strategic decision making. Tony is an influential thought leader in the patent analysis space, recently wrote the Guidelines for the Preparation of Patent Landscape Reports for the World Intellectual Property Organization, has been named one of the Top 300 IP Strategists by IAM Magazine, and is the author of the popular Patinformatics blog. For more information or to contact Tony, please visit his Company Profile Page. So: yet ANOTHER “PROFESSOR” says, we need ‘…CAUTION in making changes without studying the likely impact of further changes’. You mean: the “CAUTION” that was NEVER shown for the actual inventors’ incentives towards participation in your IP pirate friendly inventor-defrauding WHOLESALE rip-and-replace ‘CHANGES’ to the 200 YEARS of jurisprudence of the U.S. patent ‘system’? Tell us, ‘PROFESSOR”: are you not, merely a doppelganger for ‘PROFESSOR’ Lemley?